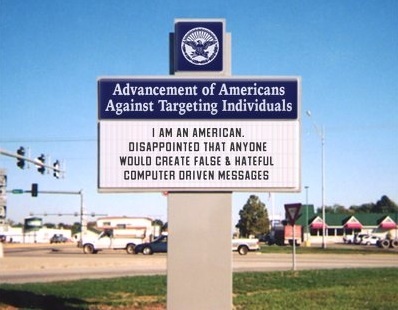 I received an email from a friend who innocently passed on the sign above, allegedly created by Islamic extremists advertising their plans in Dearborn, Michigan … but who really created it? I created the identical but alternate sign below – on my computer in NJ. I know my friend would not create the one above. But innocent bystanders get fooled into spreading false rumors of such a sign. No such sign exists in Dearborn. I believe we must be vigilant against those who want to harm us – but not at the calling of false fear-mongers. I hope everyone who gets the “photo” on top downloads the one on the bottom and sends it back to whomever sent the “original”. « Did you know ADHD impacts an individual’s earning potential? Friendships and romantic relationships? Will Parental Alienation finally be a DSM diagnosis? Star Wars: The Force Awakens – A variation of Parental Alienation. Addiction tears apart lives and families. Do you want insurance companies to interfere with your prescriptions? I don’t.